We covered what Xur has in his inventory this week here, but we left the quest step out because we wanted to be a bit more in-depth. The quest step is named ‘Invitation of the Nine’ and will cost you 9 Legendary Shards. If you don’t have enough you can dismantle three Legendary weapons or pieces of gear, play a few rounds of Gambit and I’m sure you’ll end up with enough. Once you’ve been to see Xur and have picked up the quest step you need to complete it before you can get the sweet cutscene reward. The quest for Week 1 requires you to collect metaphysical samples by killing Cabal, Taken, and Fallen. You need to collect nine samples from each race, something I think you could achieve from Gambit and Gambit Prime if you’re looking to make the most of season 6’s content. 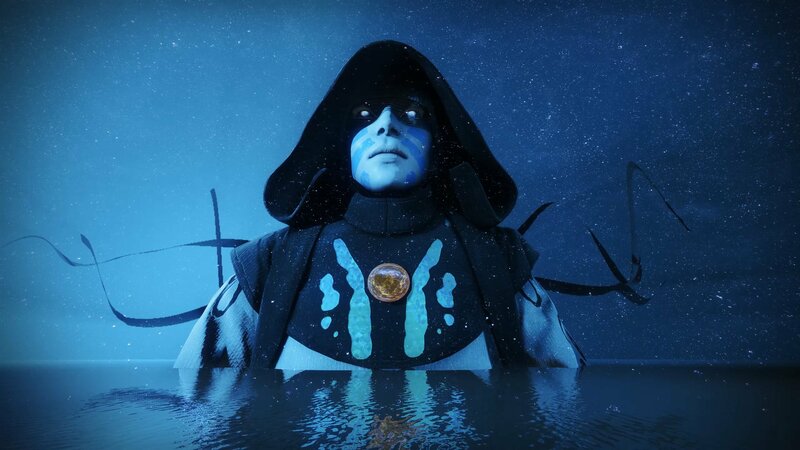 You will also need to complete the Lake of Shadows Strike in order to finish the quest. To make the quest go a bit quicker you could select Lake of Shadows from the Director and complete it before chasing the other samples. The Strike will likely land you with the Taken samples you need, so there’s little left to do after that. When the quest is complete you’ll get a new reward called Into the Unknown. This is the actual Invitation from the Nine, and you can select it from the Director now, though this item will appear in your Pursuits. In the Director you need to open the Gambit menu and select the smaller node under Reckoning named Mystery and Potential. This will drop you into the Drifter’s ship, and you’ll need to go through the portal as you usually would. You’ll now see a cutscene and get a powerful piece of gear, but that’s it. The quest will advance over the next nine weeks, and each week we’ll get more of a glimpse into who the Nine are. Let us know what you think of this new Xur system in the comments.